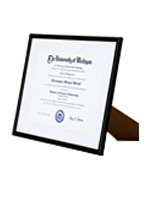 This Picture Frame is Perfect for any Diploma, Certificate, or Award! 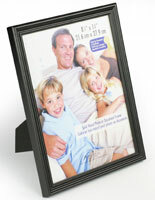 This Picture Frame Features a Classic Black Finish with Decorative Trim! Poster Frames are our Business! Shop from over 150 Discount Poster Frame Models! 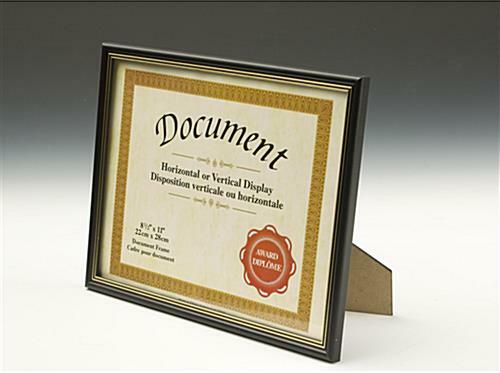 Picture Frames in Black Finish for Certificates, 8-1/2" x 11"
This photo holder, picture frame has a two-method easel backing as well as a two-method hanging capability. 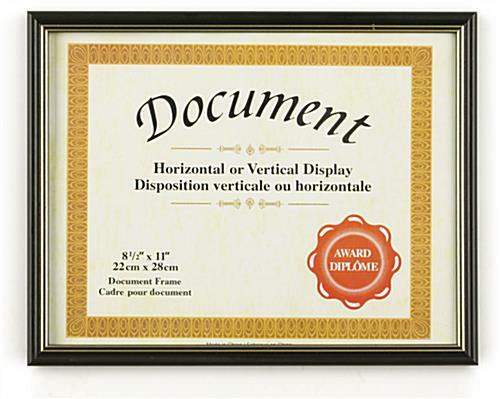 You can display your certificate vertically or horizontally on the countertop, as well as on the wall. 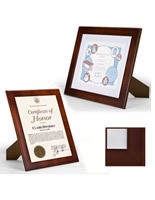 The flexible countertop/wall-mount design of this picture frame lets you display it in the best place to showcase your earned certificates of achievement. The possibilities of this picture frame are endless. 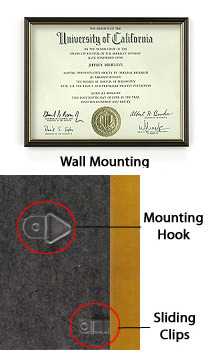 A picture frame, like a photo display and diploma holder, is not only meant for exhibiting certificates. You can also use it to present pictures, puzzles, signs and artwork. 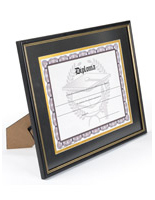 This picture frame is an ideal alternative to present your certificates, documents and awards. In lieu of keeping them in a binder or envelope that no one can view, display them inside this picture frame to treasure them in a whole new way. 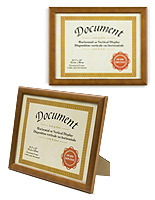 This document display, picture frame is crafted from basswood for longevity. With a black finished frame, brass tone corners and a protective glass overlay, this picture frame is ideal for any home, school or office environment. 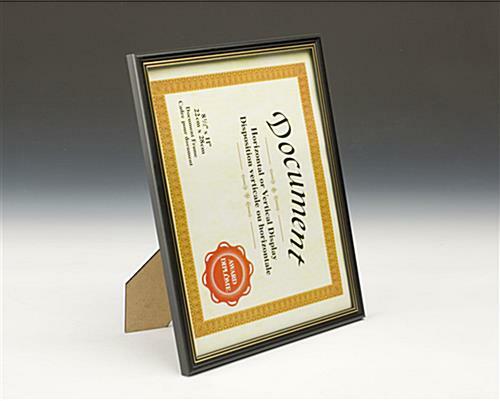 What better method to exhibit off your accomplishments and achievements than utilizing this picture frame. 12.5" x 14.5" x 0.625"
We hand out awards annually and it always seems we have to find a new vendor to meet our needs. I think we have found one we can return to each time we need to restock. The quality seems good, and the prices are great. These frames are a good value for the money. We give certificates to our youth bowlers for honor score achievements for the year and awarding them scholarship money. The frames help enhance the effect to make it special. 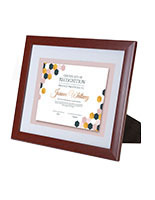 I ordered twelve of these frames for a monthly award that we give. So, haven't used them yet, but opened package and looked at one. It looked good. They were well packed and arrived quickly. Thank you for your orders and review! We love hearing from our repeat customers and would love to see these in use if you'd like to share an image! We look forward to working with you again. Thank you.